Aas-Jakobsen has extensive experience in preparing building applications. At any given time, Aas-Jakobsen is busy with several building applications of varying sizes; anything from small and simple projects to major urban development projects involving multiple applications for exemption. 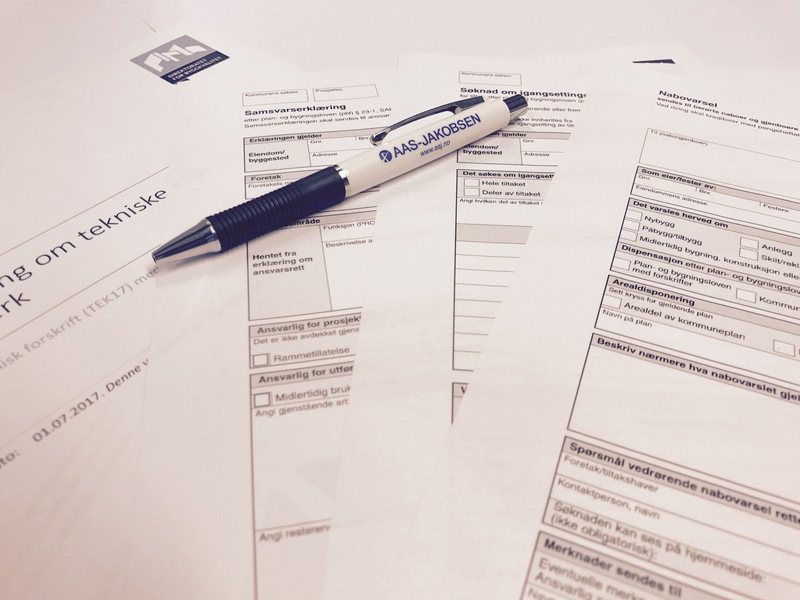 Aas-Jakobsen is able to assume the role of responsible applicant for every kind of building application. We have central approval (class 3) as an approved applicant. When preparing building applications, it is vital that all the information and documentation is prepared correctly, and that the areas of responsibility of the contractors are identified and clarified, both in terms of general permission and project start-up permission. It is important to establish whether there may be a need for applications for exemption. We can help to obtain all the necessary documentation, organise a preliminary conference with the municipality, and obtain and coordinate all the documentation with all the contractors and client. Major, complex projects generally involve clarification and coordination work with other public agencies. We are highly experienced in obtaining statements and approvals from agencies such as the Norwegian Public Roads Administration, County Governor and heritage authorities when required.